As parents, it is important to make sure our children feel safe at home. One of the ways we can do this is by making their room child-friendly. These steps will help you create a safe space for your children. Designate children’s areas around the house. Yes, creating a safe space for kids extends to outside their bedrooms. As parents, we want to see our children as much as possible. 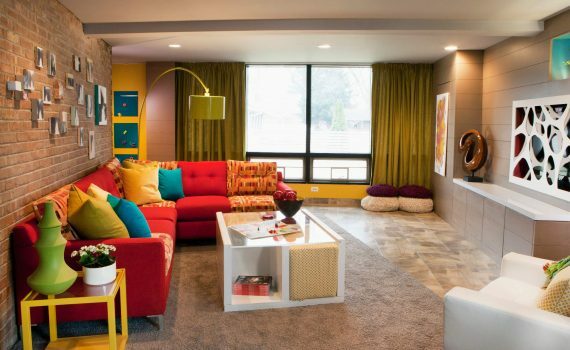 Provide an area in your most used living spaces for them and their toys. Make the children’s area attractive to both kids and adults. Naturally, you will have some adults in the household too. Having a messy children’s area is understandable. However, as homemakers, we should always aspire to make it look clean as possible. Keep toys in a drawer when not in use. Toys lying around the house can be a hazard to both adults and children. Put them all in a drawer or a box after your kids are done playing with them. Add cushions. Cushions do not only make your home look elegant, it is cozy as well. You can even add bean bags for the kids. Encourage your children’s creativity. As parents, it is important that we encourage our children to develop their own creativity. Place study tables near windows, place books around the house. And make sure to stock up on papers, crayons, and art materials to your child’s study table. Add musical instruments. While not all children are born to be musically talented, it is still important that we give our children the option to try it out. Many famous musicians have started playing instruments at a young age. Teach your kids to help cleaning up. This will not only help with your kids’ morals, it will also help make the area look clean. Do you have more advice? Let us know in the comments below!